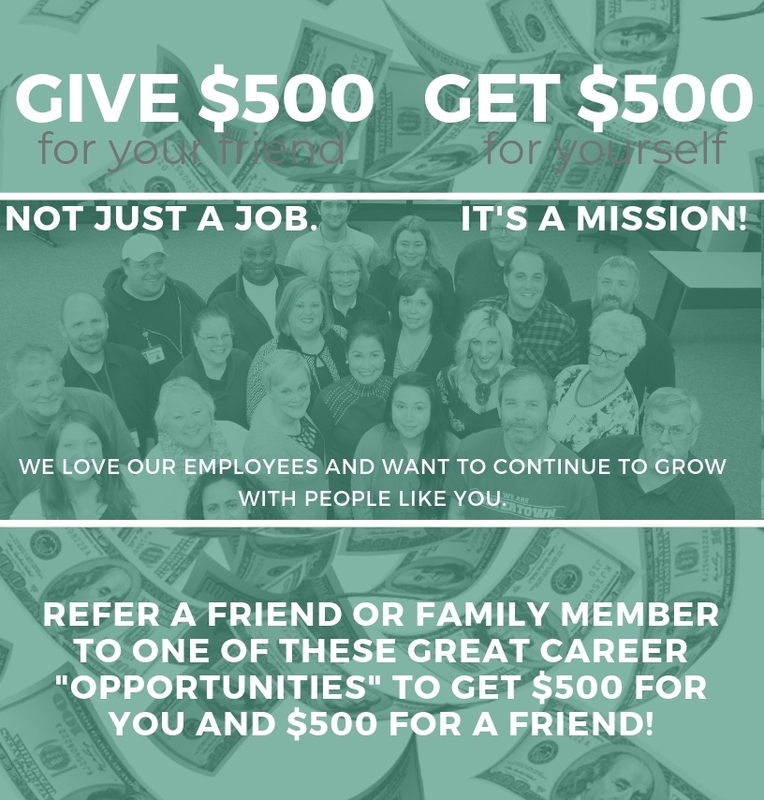 Employee Referral/Hire-On Program Begins April 15th - Opportunities, Inc. Referrals must be entered by May 15, 2019. New employee eligible for bonus after six months of successful employment. Referring employee must be employed, in good standing at six months. Current OI Staff, DPS Internal, DPS Employees are eligible to refer.